Application A/V mounts, furniture and storage. For Use With: Monitor and notebook. 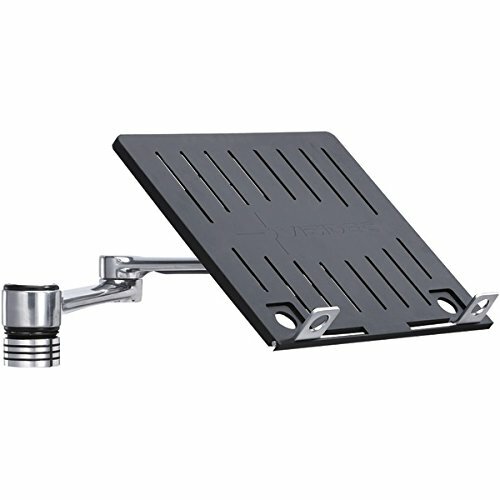 Accessory arm with tray for VF-AT and VF-M. Supports notebooks up to 18 in. and 17.5 lbs.. Nonslip ventilated tray. 16.25 in. max arm reach. 13.5 in. height adjustment range. Monitor arm tilts -35 degree - 10 degree and pans 180 degree. Warranty: One year. Supports notebooks up to 18 in. and 17.5 lbs. If you have any questions about this product by Visidec, contact us by completing and submitting the form below. If you are looking for a specif part number, please include it with your message.